For many of us, one of the best things about the holidays is the opportunity to get together with friends or family we don’t get to see throughout the year. But it’s not always possible to get everyone you love in one room. If you won’t be able to celebrate with the ones you love this holiday season, try these ideas to stay connected across the miles! Smartphones, tablets and computers almost make you feel like you could reach out and touch someone today. 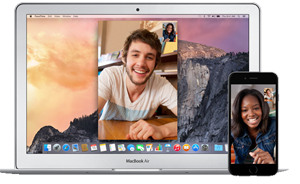 Facetime (iOS and Mac OS), Skype (Mac and PC), and many other video chat services make holiday calls much more special. Yes, you can show Grandma exactly how the robot dog she got you works, even if you’re in Topeka and she’s in St. Pete. Try Facebook’s Moments app (Free for Android and iOS) to share special holiday photos with just those you select. You can share one photo or a whole album without posting them on your public timeline. Instead, share your memories only with the particular people you designate. Many other services also offer public and private photo sharing, and some let you make prints, too. No matter which winter holiday you’re celebrating, you’re bound to have a visual experience – with candles, presents, bright lights, and happy faces to share. If you’re on Instagram, pay attention to the holiday hashtags your friends are using, add them to your photos and click through to see what others are sharing! Some fun examples we’ve noticed recently: #xmaslights, #hanukkah, #delish and even #christmasnails (hands, not hammer-and-). And of course, we’re expecting big things out of #2016 soon, too. You can make a mini-movie of a holiday experience and share it publicly or privately via an app like Periscope (Free for Android and iOS). Your loved ones can watch live or later via replay (available for 24 hours), and they can share their likes and comments with you. 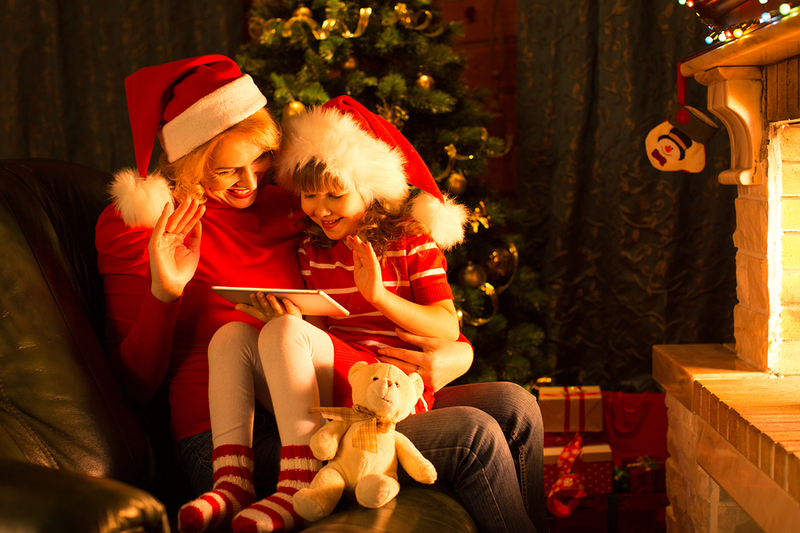 Your broadcast can last as long as you like, but it will take up a lot of data, so make sure you’re on wifi if you’ve got lots of presents to unwrap or want to share the entire school musical with Nana. What’s your favorite way to stay in touch across the miles during the holidays?